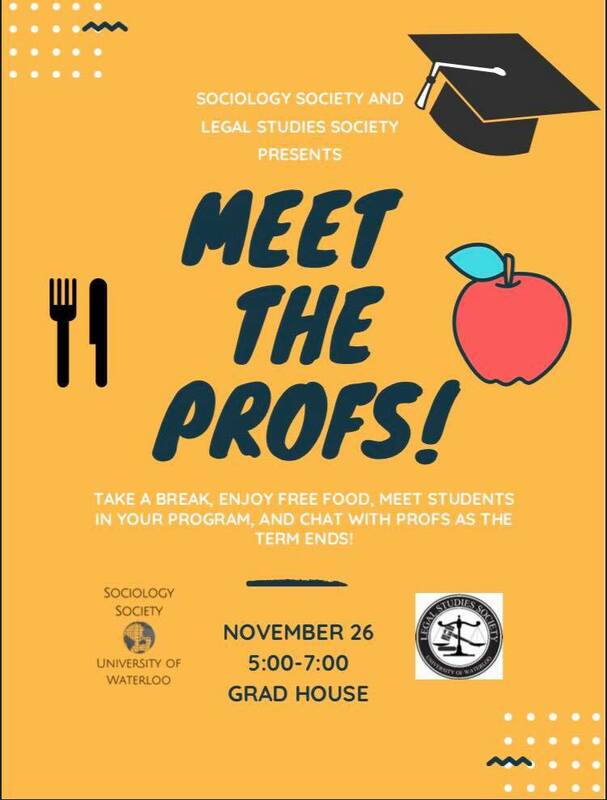 On Monday, November 26th, the Legal Studies Society will be hosting a Legal Studies and Sociology professor-student mixer at the Grad House from 5:00-7:00 PM. It’s a great way to meet and get to know your professors in a casual setting. Come out for a chance to chat, network, and build connections with your professors and fellow students.